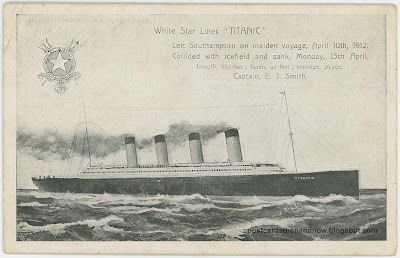 To commemorate the sinking of the Titanic on this day a hundred years ago I've posted my only Titanic postcard. This example was posted nearly a month after the disaster. I imagine there will be a lot of blogs mentioning the Titanic today. Click the postcard to enlarge. 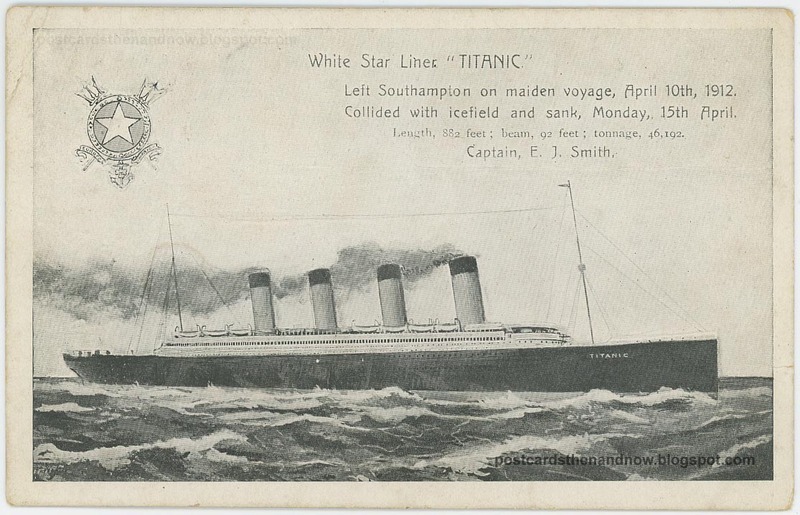 Curious that the postcard publisher thought the ship's dimensions were more noteworthy than the tragic loss of life.